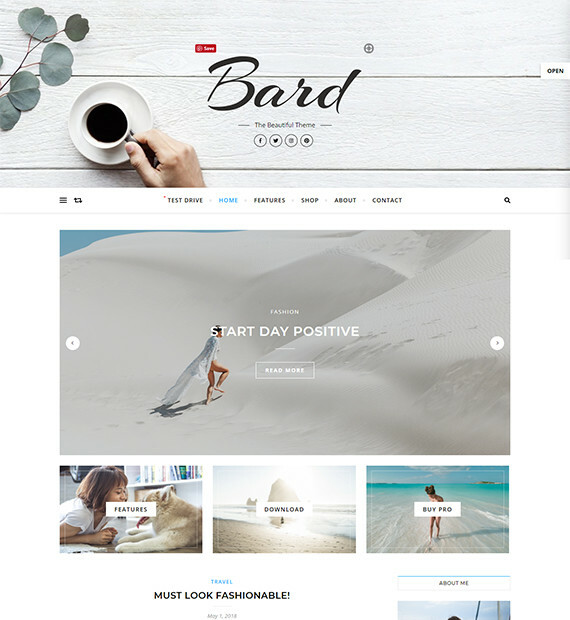 Bard is a fully responsive free WordPress blog theme with a clean and modern design. It is a fast and easy to use theme even for WordPress beginners. This theme is well suited for any type of blogs like personal, lifestyle, photography, cooking, fashion, travel and many more. It is also compatible with WooCommere along with course translation and RTL. This theme also has a minimal, elegant and mobile friendly layout including best SEO practices.